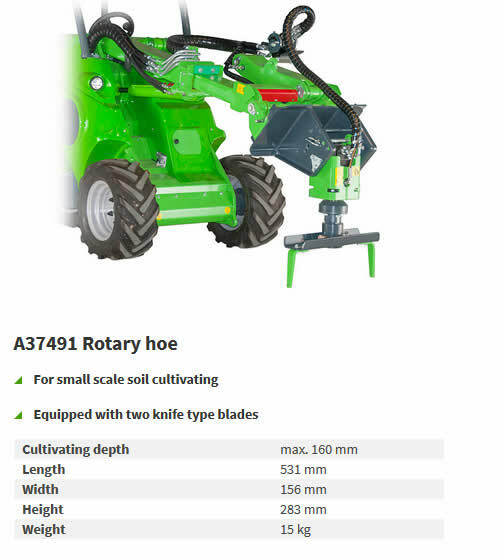 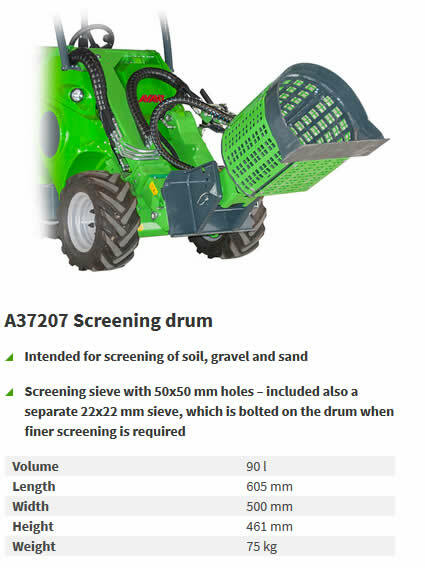 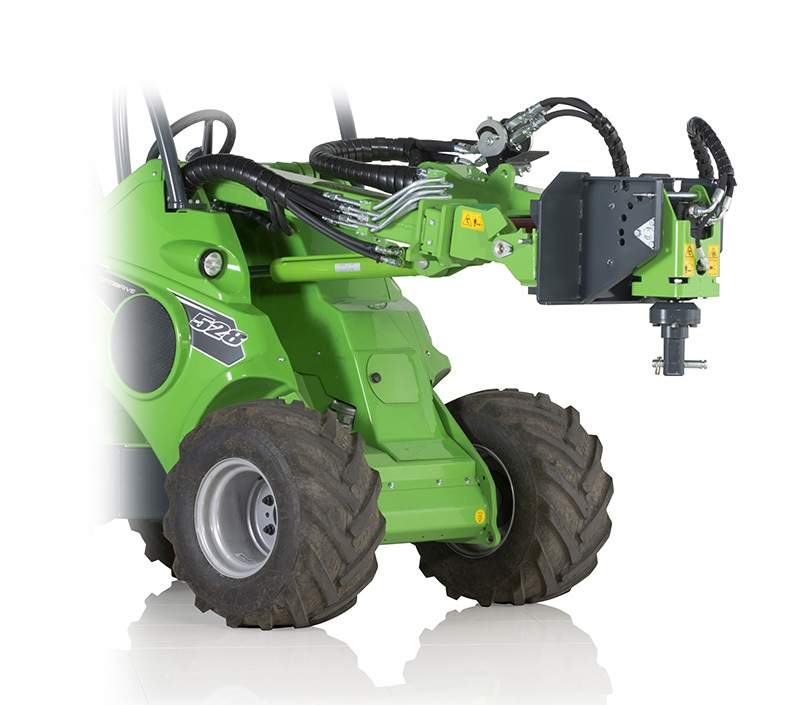 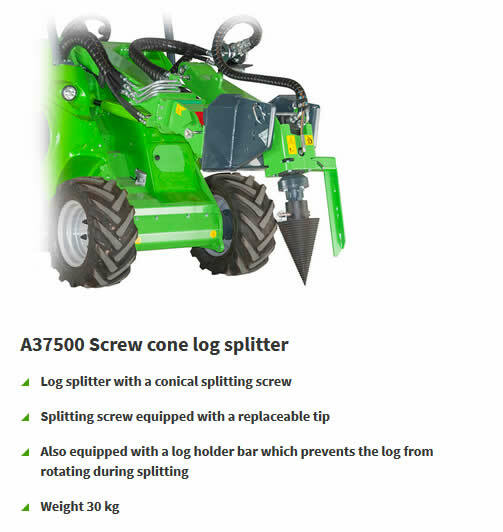 The new multi function drive unit replaces the earlier auger drive unit A21100. 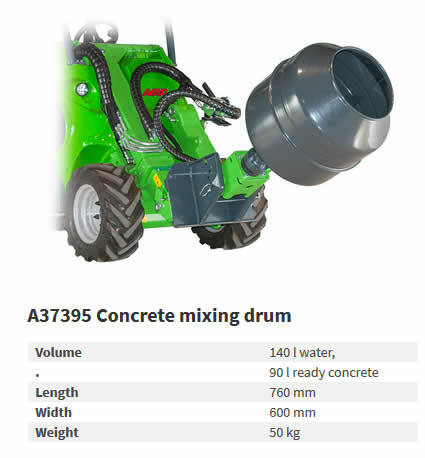 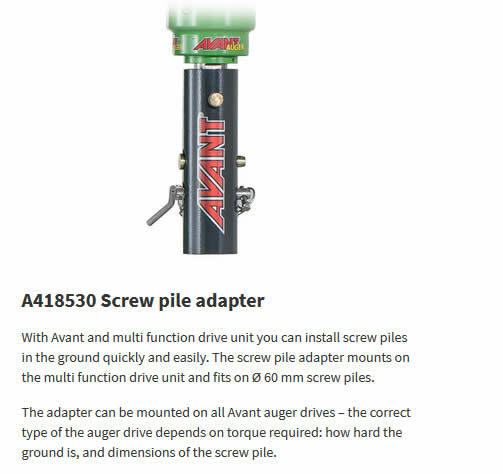 Avant auger drills and screw pile adapter are mounted on it as always, but thanks to the new design the multi function drive unit can also be fitted with various new attachments: concrete mixing drum, screw cone log splitter, screening drum, cable/hose reel, carousel broom and rotary hoe. 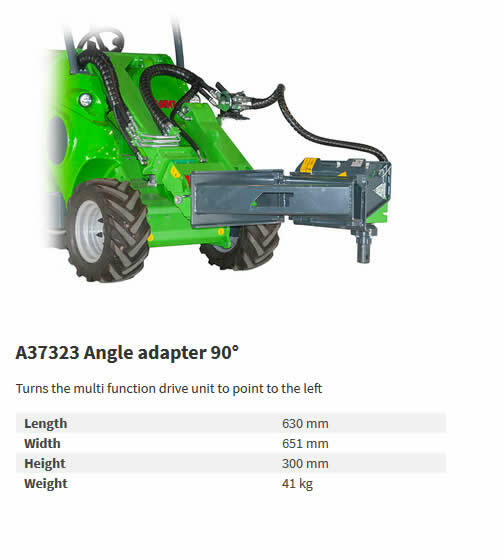 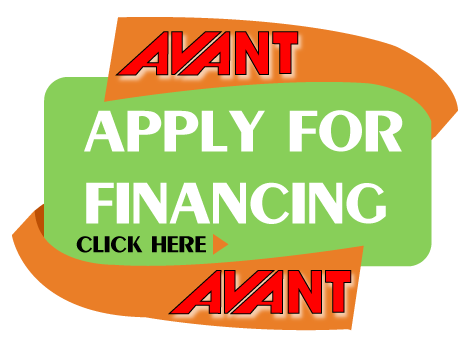 In addition, there is a 90 degree angle adapter available on which the drive unit can be mounted. 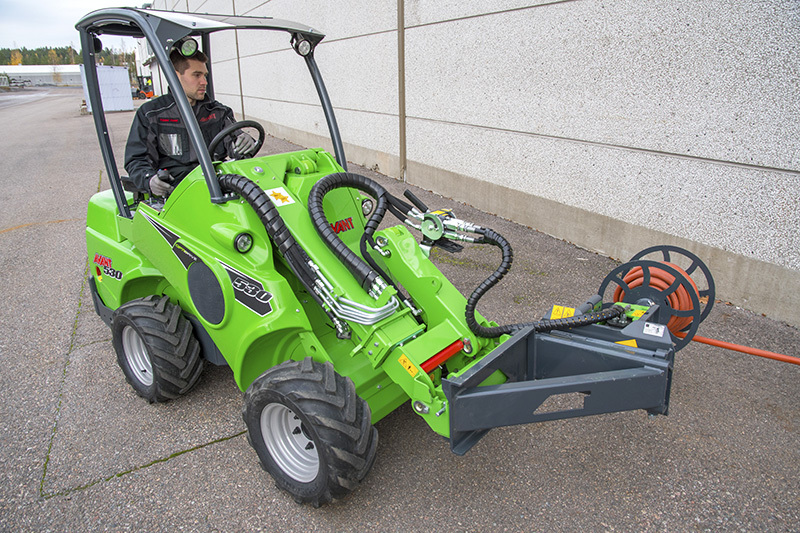 It turns the drive unit 90° to the left. 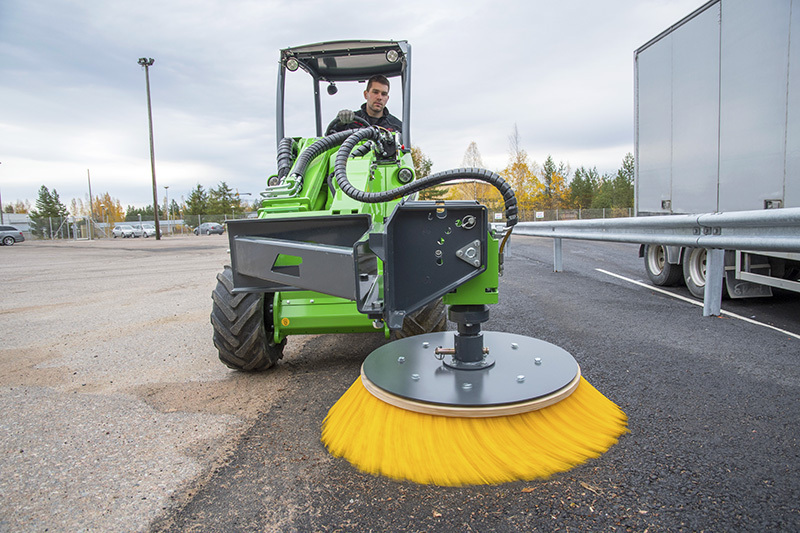 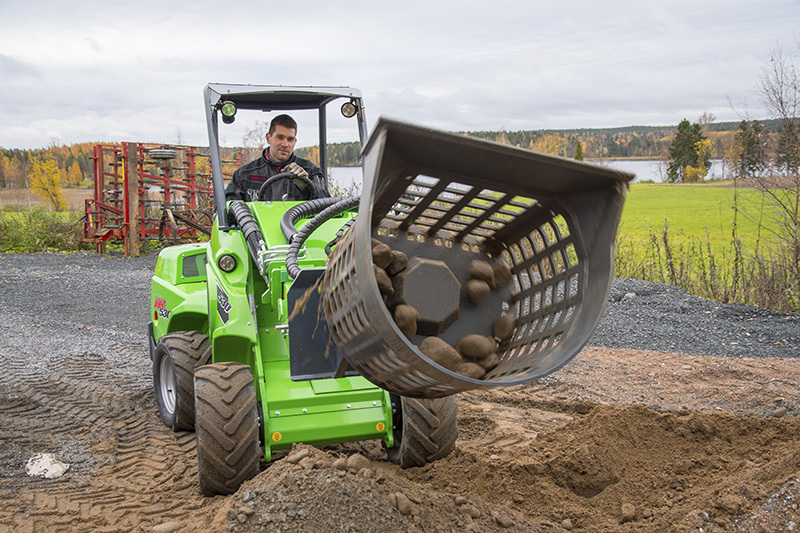 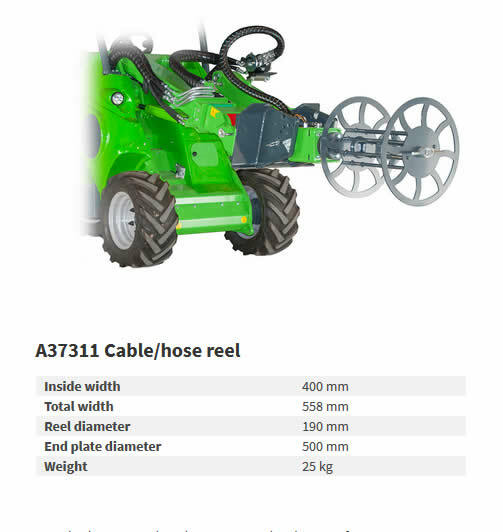 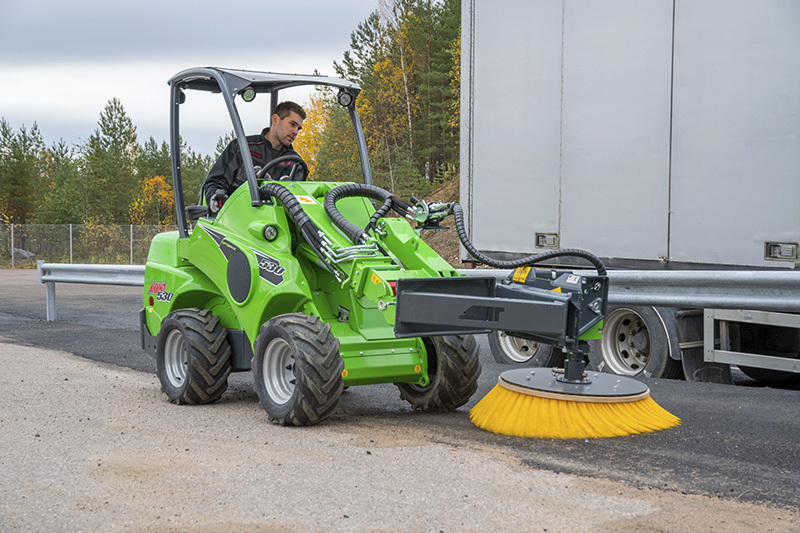 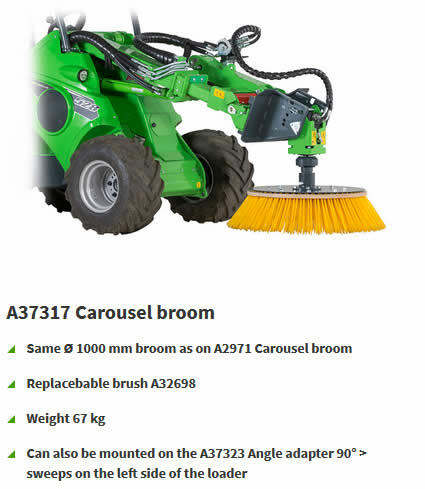 This means that for instance the carousel broom sweeps on the left side of the loader, and the cable/hose reel is crosswise to the loader and winds the cable longitudinally (in parallel to the loader).